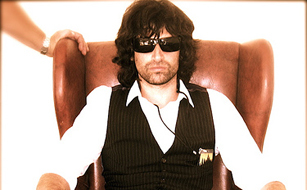 It’s been eight years since Pete Yorn released his woefully underrated musicforthemorningafter, a somber, heartfelt collection of New Jersey Turnpike love songs with just a hint of Garden State gruff. But the 35-year-old songwriter’s subsequent two albums (in 2003 and 2006, respectively) found the brooding vocalist reaching too far beyond his crumbling relationships by writing songs for arena crowds instead of bedroom mix tapes. Again on this year’s solo LP Back & Fourth, the troubadour falls into the same habit of penning glossy anthems for faceless masses instead of those one-on-one tales that made his debut such a fulfilling listen. But like with any romantic, Yorn is at his best when he’s not alone, and 2009 also saw the release of the ironically titled Break Up. Featuring Hollywood starlet Scarlett Johansson, the duo’s collaboration takes its cue from Serge Gainsbourg and Brigitte Bardot recordings — and finds Yorn rediscovering his scruff, his heart, and possibly his new muse.